Where should your organization focus its innovation resources? With new technologies increasing the pace of innovation every day, companies demand a constant supply of fresh ideas. To be successful, an innovation process must deliver two things: a superior solution and a great market response. Once you have the former, how do you ensure the latter? It all starts by examining the key dimensions of a technology’s evolution and understanding how it’s delighting customers. Join us for this edition of Spotlight on Innovation to learn how to make better decisions about where to focus your innovation efforts and money. You’ll also find out—through two case studies—how backing the right industry innovations can pay off for your organization in a major way. 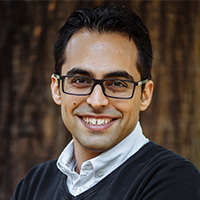 Nima Montazeri is a passionate technology leader, business advisor and entrepreneur who enables businesses to drive innovation and solve problems with cutting-edge technology that carries real business value. He works with business leaders and teams to balance problem-solving and creative-ideation techniques to surface innovative and disruptive ideas. Nima was a technology consultant with ThoughtWorks for six years and has worked with a number of businesses across a range of industries including retail, insurance, mobile and telecommunications, publishing and government transforming their technology operations. Currently, he works for Babylon Health in London to put accessible and affordable health services in the hands of every person on earth.